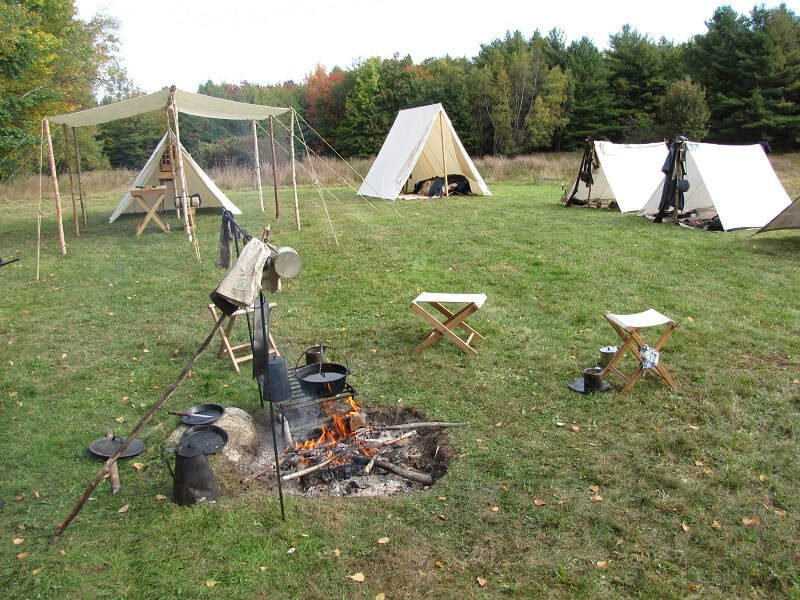 A Civil War encampment, displaying the everyday life of a Union soldier during the Rebellion. Members of the Historical Society will also be on the grounds, hosting a bake sale, the proceeds to benefit their Civil War Memorial Scholarship Fund. - The announcement for the annual event, posted here on the website, as well as on the Canney Camp Facebook page. 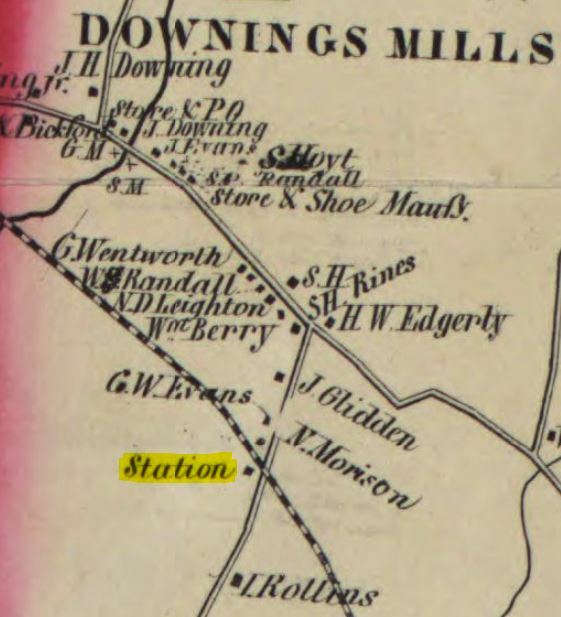 As in recent years, the group portrayed a unit of the "Provost Guard", a detachment of soldiers sent to guard the vital railroad station and powder mill in town, as well as arrest any deserters sneaking their way back home. 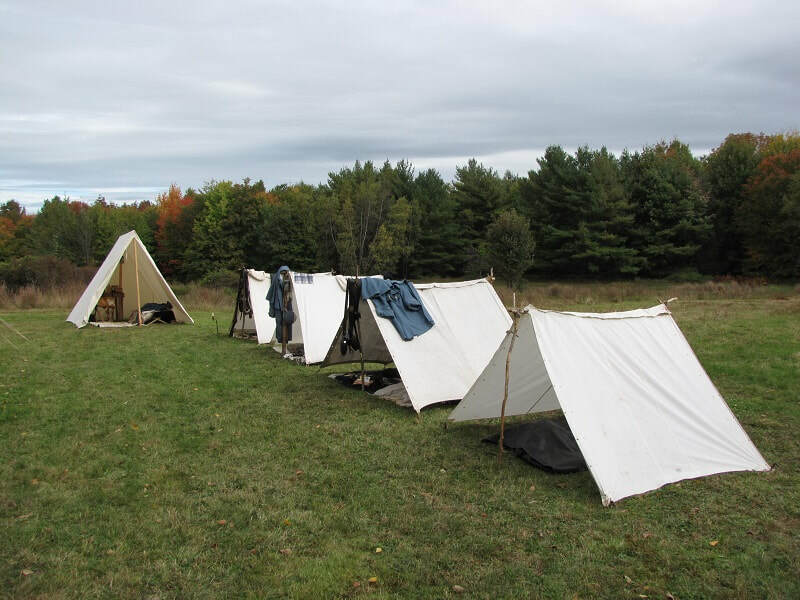 This camp would have served as the quarters for those members of the guard who were off-duty. 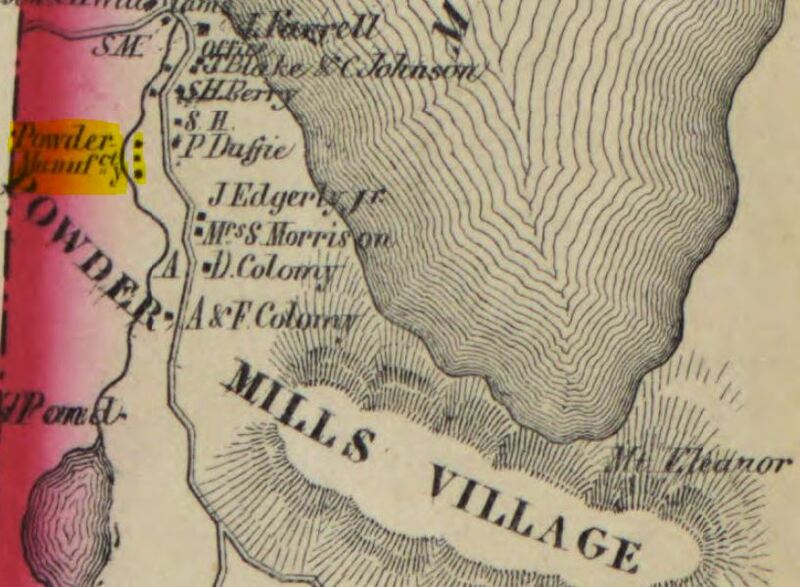 ​​The maps below show where the two key locations in town once stood, on a current map, as well as on an 1856 Strafford County map. ​The encampment (blue circle) is the location of our yearly event, but was not historically a Union camp. The Eureka (or Union) Powder Works held several contracts with the US government for producing gun powder, and was turning out "two tons of powder per day" in June of 1863 [Ports. Jrnl, 6/20/63]. Shipments were delayed several times during the war due to fires and explosions, and many deaths, at the factory. The following news article, which ran in the Manchester Mirror and Farmer [issue dated 7 Sept 1861], laid suspicion for the fire on "copperheads", or anti-Union "agents", but this was later proved false by the insurance agent. ​Of course, there WAS the possibility of something such as this happening, and would have been a key reason for having armed troops in the vicinity, both at the rail station, and guarding the powder on its 3-mile trip from the mill to the railway. Here we are, on the company street, in between the light showers we had on Sunday.